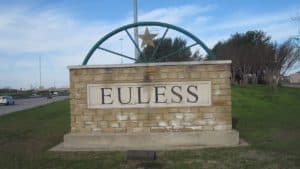 Residents and businesses located in Euless, TX don’t have to look far for a reliable, professional plumber. 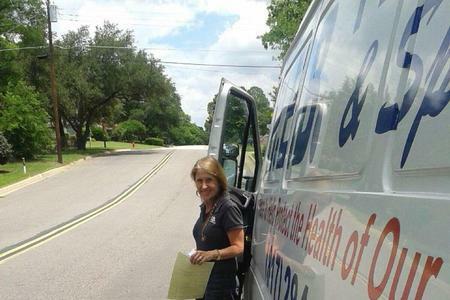 HEB Plumbing & Sprinkler-Kathlyn Smith, which operates out of nearby Bedford, TX, provides same day plumbing services to homeowners, renters, and business owners throughout the city. HEB Plumbing & Sprinkler is not a company that only specializes in providing one specific type of plumbing service. 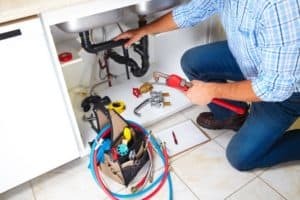 Instead, our company prides itself on providing a comprehensive selection of plumbing services to residents and business owners that include everything from basic repairs, such as repairing a dripping faucet or a leaky sink, to complex repairs such as detecting tree roots that may be blocking a pipe or finding and fixing a gas leak. Many people assume that plumbing problems are something you cannot prevent, but this is an incorrect assumption. There are many plumbing problems, such as leaking water heaters and clogged drains, which can be prevented by having a professional plumber come out and perform annual maintenance inspections. HEB Plumbing & Sprinkler offers preventative maintenance services to local residents and business owners. The goal of this service is to inspect the residential or commercial plumbing system for any problems. If we spot an issue with your plumbing, we can provide recommendations for how best to fix the problem. Recommendations will range from having basic repairs done to the plumbing system to replacement of the particular plumbing hardware or appliance. Cost is a huge issue when looking for a plumber to perform plumbing services in Euless, TX. Many plumbers are not upfront and honest about pricing, but HEB Plumbing & Sprinkler isn’t like other plumbing companies. We believe our customers should have all the information they need when making a decision regarding who to choose as a plumber and that includes having a full understanding of how much a particular project will cost. We are transparent about everything from how much it costs to purchase equipment to how much it will cost for labor and time. When you call HEB Plumbing & Sprinkler for residential or commercial plumbing services, you know you are getting someone who is providing you with an honest, fair price quote. Call us today to learn more about our plumbing services for residents and businesses in Euless, TX or to receive a free price quote for an upcoming project. Thank you so much for your kind words. We appreciate your business and review! Kathlyn Smith, owner & master plumber of HEB Plumbing & Sprinkler, 817-283-8888. They are so great. Very efficient, courteous, and prompt. Also honest which rates high for me. Thank you so much for your 5 Star Review. We appreciate the kind words and your business!! Kathlyn Smith, owner & responsible master plumber, HEB Plumbing & Sprinkler, 817-283-8888. Professional, showed up when they said they would and took time to explain what happened to my sprinklers to cause the problem. Service was awesome! The were very professional and proficient. Kathlyn and Nick were wonderful. They showed up a little early and were able to replace my water heater right away. Would definitely recommend this business and will keep them in mind for any future plumbing or sprinkler needs! Thank you so much for your 5 Star Review. We appreciate such kind words about our employees and company. We look forward to serving you again!! Kathlyn Smith, owner & Responsible Master Plumber, 817-283-8888. Steven came and inspected our water heater. He is very friendly and and knowledgeable. Main line stoppage ,sprinkler leak repair, frost-proof hose bib replacement.